MELBOURNE, (Reuters) – With its brand in tatters after the release of the Longstaff review, Cricket Australia will hope to move quickly to install a permanent chairman who can lead efforts to rebuild the board’s credibility. After David Peever’s position became untenable and he resigned on Thursday, CA promoted deputy chairman Earl Eddings on an interim basis and expect to have a process and a timeline in place by early next week to pick a long-term successor. But finding suitable candidates with the acumen to run a billion-dollar business and the pedigree to satisfy demands for a cricket “insider” to pilot the game may be no easy feat. The role itself may seem a poisoned chalice for executives unwilling to get their hands dirty at the top of an organisation that the Longstaff report revealed was perceived in the game as “arrogant” and “controlling”. One of the leading contenders has already ruled himself out. CA board director Mark Taylor, a genuine “people’s choice” as the captain of brilliant Australian teams in the 1990s, said he felt it would be “inappropriate” to take the job as a media pundit in an interview with his employer Channel Nine. With Taylor removing himself from the frame, the remaining candidates on CA’s board boast little pedigree in the sport, with only former test bowler Michael Kasprowicz having played the game at a high level. None could be said to be corporate heavyweights, either, with Eddings, seen as favourite to assume the role full-time, running a boutique risk management consultancy. By the standards of competing sports administrations in Australia, Eddings would seem a lightweight choice next to the corporate clout of Richard Goyder, the former CEO of retail conglomerate Wesfarmers, who chairs the Australian Football League Commission. Board director John Harnden, who organised a successful 2015 World Cup, is seen as another candidate, along with Jacquie Hey, the former Managing Director of Ericsson Australia and New Zealand who was CA’s first female director. CA have tended to promote from within, and former Rio Tinto executive Peever succeeded Wally Edwards in 2015 after serving as a director on his board. But the federation is already under huge scrutiny for elevating managers that failed to prevent the cultural failures detailed by Dr. Simon Longstaff. Rather than wait for the review to land, CA barged ahead with its promotion of Chief Operating Officer Kevin Roberts as successor to long-serving CEO James Sutherland a month ago. Once in possession of the review, the board sat on it until after Peever was reelected for another three-year term at CA’s annual general meeting last week, where Eddings was also promoted to deputy chairman. 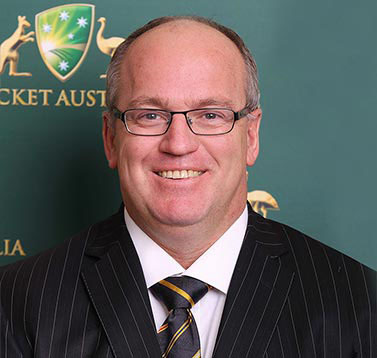 Former Australia wicketkeeper Ian Healy suggested that the entire existing board was tainted. “Anyone who presided over that culture when the Longstaff review was handed down, how can we make them chairman?” he said on Fox Sports. Whether appointed externally or from within, the new chairman will inherit a difficult portfolio and face a huge task to repair relations with aggrieved stakeholders. The Longstaff review has angered the players’ union which has demanded CA immediately lift the ball-tampering bans on former captain Steve Smith, and batsmen David Warner and Cameron Bancroft. The prospect of a depleted Australia team struggling on home pitches against India in the coming summer could add further heat from broadcasters who signed a record billion-dollar rights deal earlier in the year. Although slated for nurturing a “winning without counting the costs” culture in the Longstaff review, CA and its new chairman may end up hoping for wins of any kind to ease the pressure after a year of gloom on and off the field.